There are days when you just are so busy that getting that evening meal on the table seems like an impossibility but with the help of Tyson Chicken a quick dinner that is nutritious and tasty can be ready in minutes. Last Thursday was so hectic, and incredibly hot with the heat wave we were having here on the East coast, that I couldn’t have been happier to have my freezer full of Tyson chicken. I had lots of choices but settled in on making some chicken wrap sandwiches. 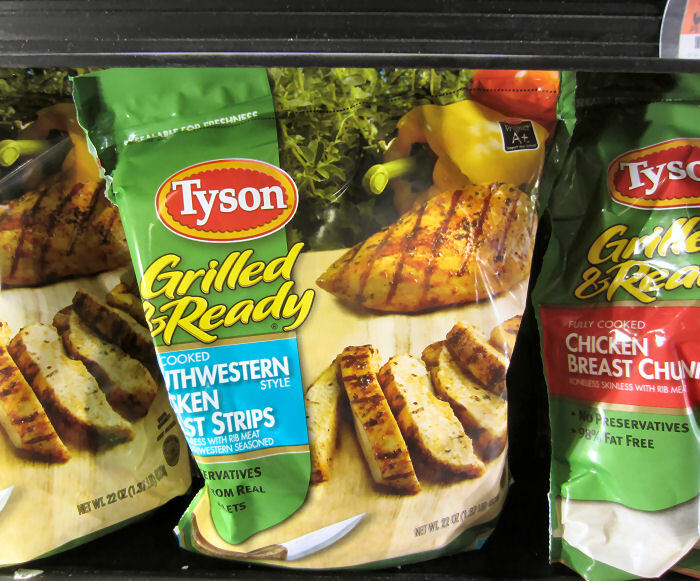 Tyson’s Grilled & Ready Southwestern Chicken Breast Strips made the project easy and quick. These Tyson Breast Strips made it easy to get a healthy meal on the table with minimal effort in no time at all. I gathered all the ingredients together. 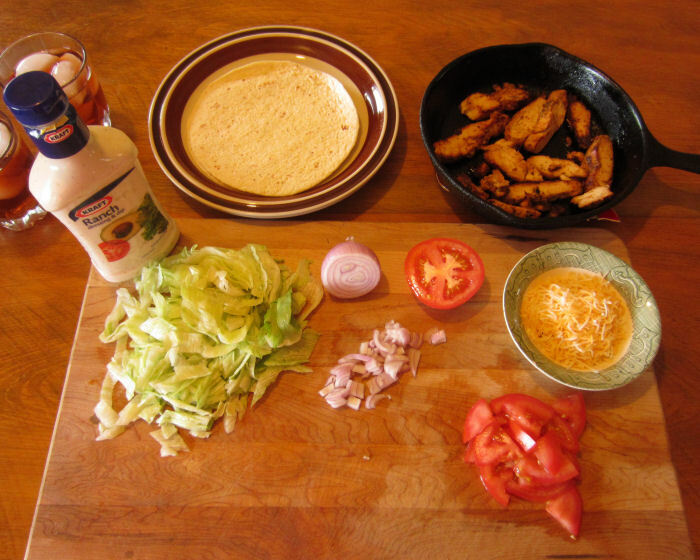 All the ingredients for a southwestern ranch chicken wrap sandwich. 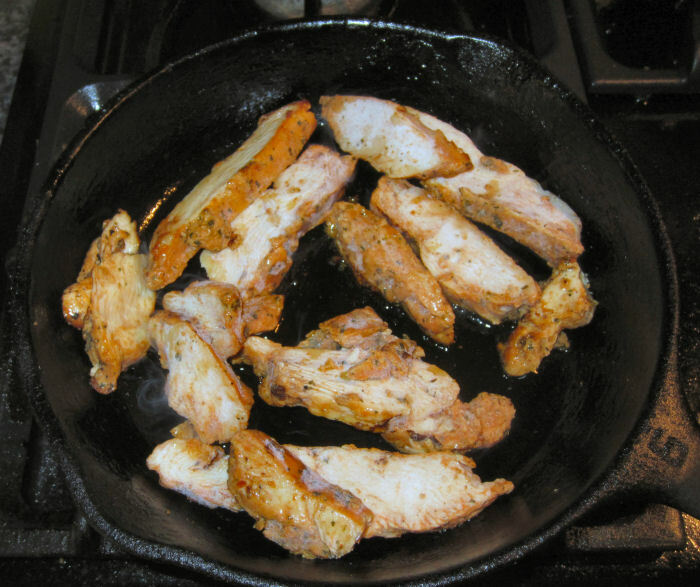 I just tossed the frozen chicken strips in my cast iron pan to heat them up (they are already cooked). Heating them only takes 5 minutes….how cool is that! While they were cooking, I cut up the veggies, and warmed the tortillas in the microwave. Voila! We were ready for assembly. 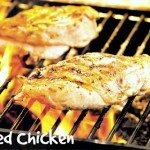 The Tyson Grilled & Ready chicken strips were already seasoned and the aroma from them cooking was amazing. Now its time to start the assembly line. I took a warm tortilla, and layed on the grated jack cheese, shredded lettuce, tomato, minced shallot, and chicken breast strips. I drizzled ranch dressing on all the ingredients and then rolled them up, wrapping with a small strip of parchment paper to hold them together. Now this was a great meal for a hot night – light, refreshing and tasty but there’s more. 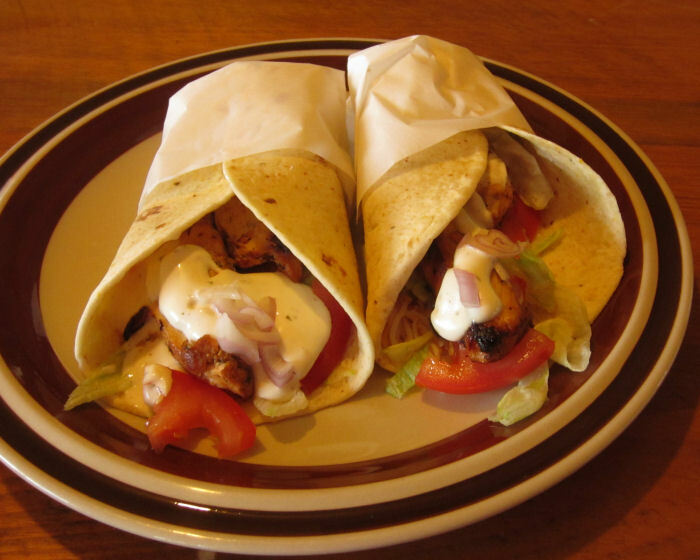 Delicious ranch chicken wraps that are delicious and also help support your local school. Not only were we having a delicious meal, but in the process we were helping our local school. Talk about a win, win! Tyson has a special program that helps local schools called Tyson Project A+. 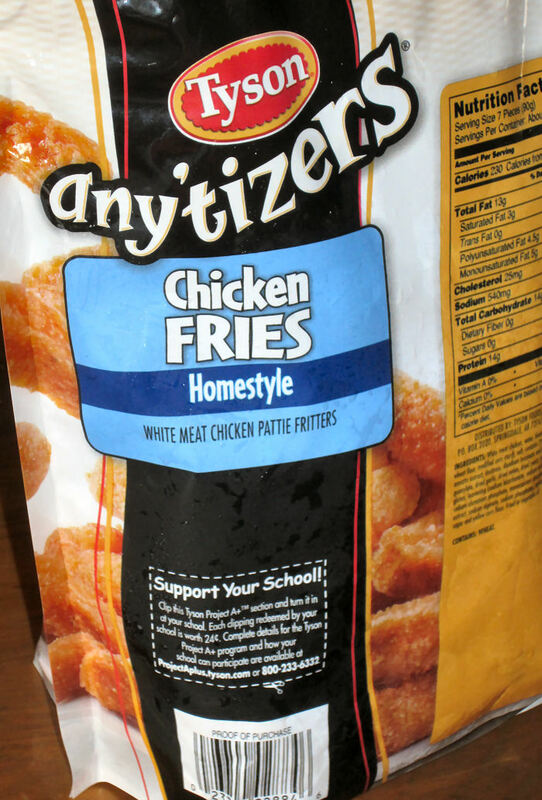 More than 30 of Tyson’s products have special labels like the one pictured below that says “Support Your School”. For each label that is redeemed the school gets 24 cents. That can add up to a considerable amount of money that could fund a number of special projects. Schools are having a hard time as municipal budgets are being slashed in these difficult economic times so a program like this can make a big difference in a small schools budget. Just look for the “Support Your School” label, clip it after you are done using the product, and save it for reimbursement. Can’t be simpler than that! I went to the very informative Tyson Project A+ website to see if our local elementary school was enrolled in the program. 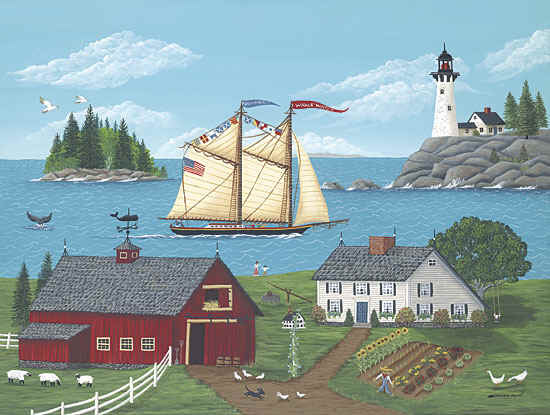 It was very easy to find out as they had a search engine that located schools by telephone number, zip code, or town. 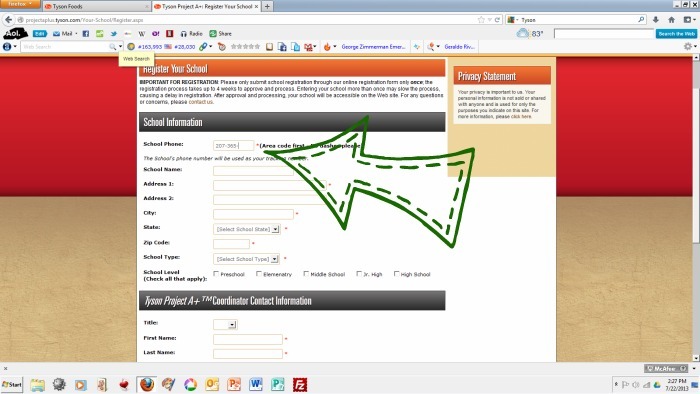 Check to see if your school is signed up for the program – search by name, zip code, or phone number. 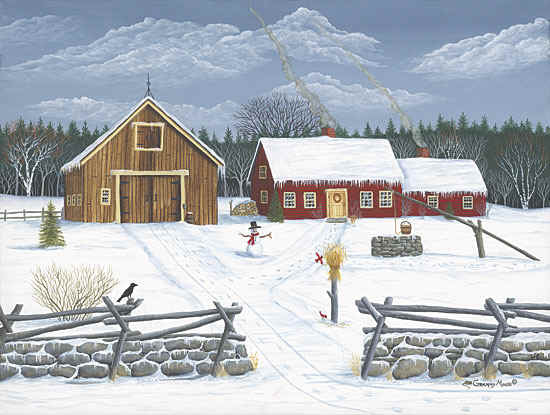 The Katahdin Elementary School was not signed up but it was very easy to do by just following the intuitive directions. I was surprised by this as we need as many donations for schools as we can find for our community. 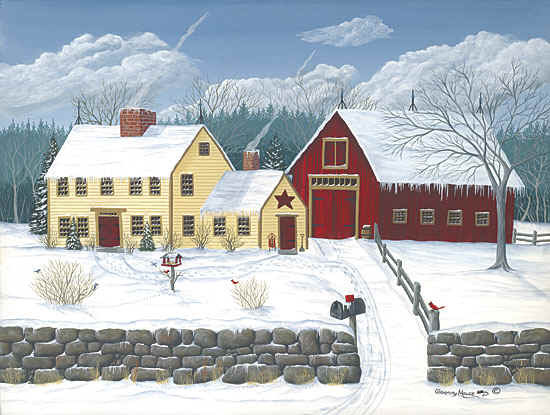 Our area is economically depressed and the tax base for the local community has dwindled even more as people move away because of instability with our main employer, the paper mill in East Millinocket, Maine. 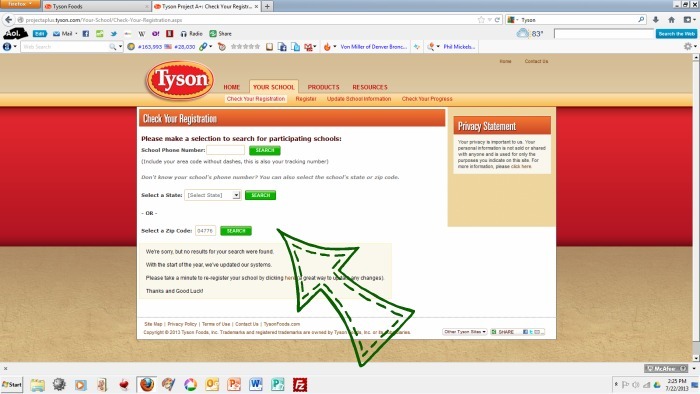 Easy peasy sign up so that your school can start earning 24 cents for every eligible Tyson Label collected. The Tyson Project A+ Label Collection Program website has a lot of information and ideas for fund raisers, etc. so be sure to pay it a visit and help get your school on track. 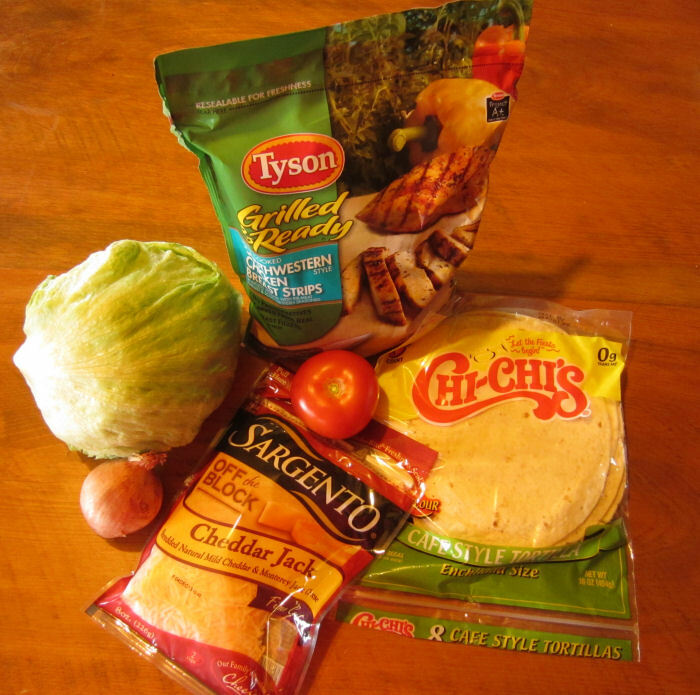 I definitely will be purchasing more Tyson products in the future knowing that I am helping out my local school and feeding my family nutritious food that they love. There’s lots of info packed on the Tyson Project A+ website so be sure to check it out. In fact in the spirit of supporting our local school, we had Tyson Chicken Fries for lunch today. They were quick and easy. 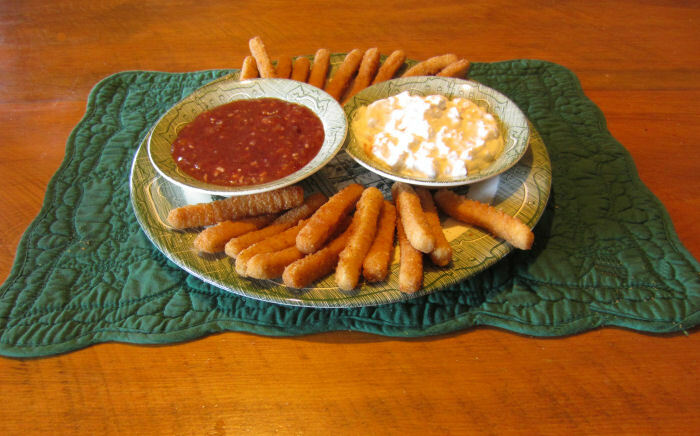 I served them with 2 dipping sauces – one savory (Blue Cheese Dipping Sauce) and one sweet/sour (Orange Plum Sauce). The recipes are below. Two sauces – one savory and one sweet/sour served with Tyson Chicken Fries. 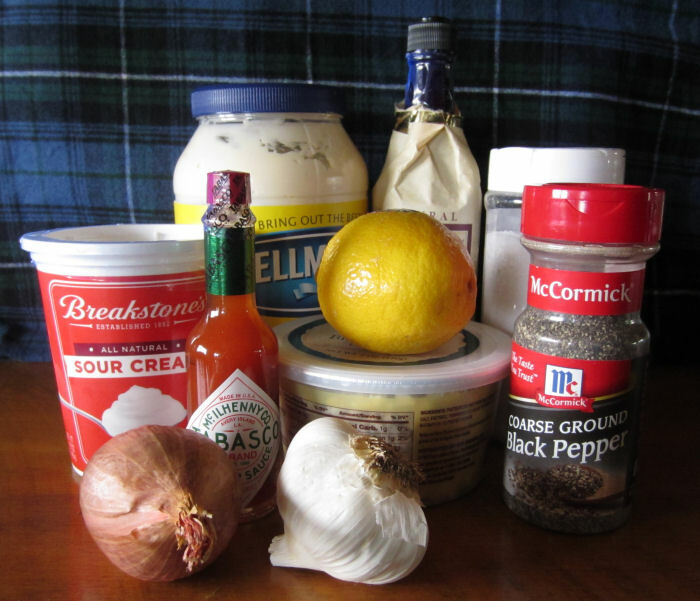 Use these simple ingredients to make a zesty blue cheese dipping sauce. A tasty sauce to dip chicken or chips in, try this at your next party! Place all the ingredients in a food processor fitted with steel blade and pulse about 8 times. Serve chilled with chicken wings or chips. Sweet and tangy, this sauce goes great with chicken, pork, and lamb. 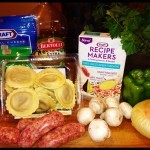 Combine all the ingredients and let set overnight in the refrigerator. Serve chilled as a condiment for meat. A meal or snack couldn’t be any quicker or easier than these. Having my freezer stocked with Tyson products gives me a number of options to keep the family happy and help me pull it all together at mealtime. 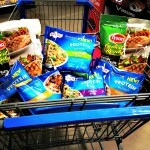 Check out more of my Tyson shopping trip in my Google+ album.